Observations: Lexmark 4019—Happy Birthday to You! As the end of the first decade of the 21st century nears, the world economy is attempting to slowly pick itself up from one of the meanest slumps in several generations. And the printer business is licking its wounds, counting on a reversal in a downturn in printer shipments and print volumes exacerbated by the slowdown in economic activities. But as it turns out, 2009 is a year to celebrate anniversaries in the printing and imaging industry. Earlier this year, HP trumpeted the original HP LaserJet printer's 25th birthday (see "Happy 25th Anniversary HP LaserJet"), and last week, Lexmark touted the 20th anniversary of the introduction of the venerable IBM 4019. 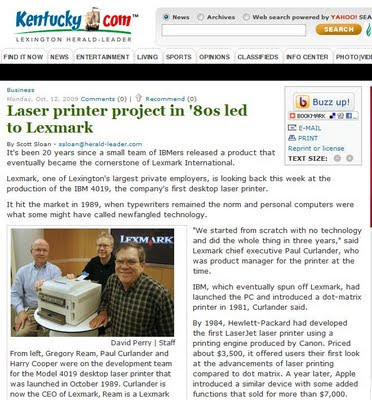 As pointed out in an excellent piece on the history of the product’s development effort by Scott Sloan in the Lexington Herald-Leader and online at Kentucky.com, and first noted in this blog in last week's "Happy 20th Anniversary, Lexmark", the 4019 was IBM’s first grounds-up laser printer design and used the combined skills of IBM people in the printer division in Boulder, CO and those in Lexington, KY, historically IBM’s typewriter facility. The headline of Sloan’s piece captures the even greater significance of the printer: “Laser printer project in ‘80s led to Lexmark.” The spinoff of IBM’s printer group and the creation of Lexmark (NYSE LXK) International occurred in 1991, coming on the back of the success of the 4019, and was a huge step in the industry. But I think it is also worthwhile to look back a little more at the product itself, its development, and the state of the laser printer business in the late 1980s. Like stories about the original HP (NYSE HPQ) LaserJet and Apple LaserWriter, this one goes even beyond the reach of The Hard Copy Observer archives, which begin in October 1991. Fortunately, PC Magazine and its annual printer issue was there to record the emergence of the 4019, though interestingly, in the “6th annual Printer Issue” dated November 18, 1989 (see photo of cover), the product is only referred to as the IBM LaserPrinter, with nary a mention of “4019”—the name change would come later. 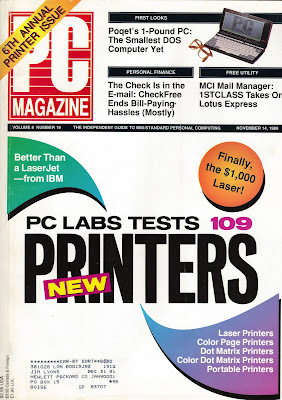 The 1989 PC Magazine printer issue's cover featured a "better than a LaserJet" blurb (mid-left) in a reference to the 4019, but in a warning of the competition marching on, HP's "$1,000 laser" also appears (mid-right). The IBM LaserPrinter review appears on Page 156 of the issue (incredibly, less than one-third of the way through the mammoth printer issue of 1989) and is written by M. David Stone, who 20 years later is still actively penning PC Magazine printer pieces, by the way. The printer is also highlighted with a “Better Than LaserJet—from IBM” teaser on the front cover and shares space in the Laser Printer category’s “Editor’s Choice” summation with two models each from Brother and HP and single models from QMS and Varityper. The laser printer category in the magazine included 35 models that year, representing still-present manufacturers such as Canon and Ricoh as well as LaserMaster, Printronix, Talaris, and Unisys, which are either no longer in the printer industry or no longer around period. Publishing lead times being what they were back then may explain why the issue contains no advertisement for the IBM LaserPrinter. A two-page spread for the IBM Personal Page Printer II appears however (the firm’s previous effort aimed at the higher-end desktop publishing market), as does a similar spread for the ubiquitous (at the time) IBM Proprinter dot matrix model. However, I personally remember TV commercials for the 4019 showing up during Monday Night Football in that same time frame, which was a sure sign that IBM was taking laser printing, and its competition with HP, very seriously. The grounds-up effort represented in the 4019 was clearly motivating IBM in the marketing end of things. And with the company's strong association and leadership in the personal computer space, going back to the original PC in 1981, many assumed that IBM had built-in advantages with many customers, given the right product offering. Sloan’s current-day article relies on interviews featuring thoughts from Lexmark employees Paul Curlander (back then, 4019 product manager and currently CEO), Harry Cooper (then, software and firmware development manager and today, director of digital imaging systems), and Gregory Ream (originally senior engineer of electrophotographic technology development and now Lexmark Laureate in laser technology). According to these interviews, IBM was attempting to improve upon reducing product size, correct-order output, and the ability to print envelopes, vis-à-vis the HP LaserJet. During the IBM development process beginning in 1986, which led to the new product’s introduction in the fall of 1989, HP was not standing still, of course. The LaserJet II made a huge market splash in 1987, bringing numerous improvements to the category that HP was already leading, though remaining an 8 ppm machine. By 1989, HP had extended the new platform, with an improved-paper-handling product (LaserJet IID) and the industry’s first sub-$1,000 laser printer, the compact (and slower) LaserJet IIP. However, the fact that HP could make so much progress but still leave so much room for improvement is testimony to the potential and immaturity of the laser printer market twenty years ago. In summarizing the LaserPrinter’s virtues, quoting from Stone’s summary review, “The IBM LaserPrinter is certainly a challenge to the HP LaserJet. About 20 percent faster and 40 percent smaller than the LaserJet, this IBM-designed and –manufactured laser printer features quality output. 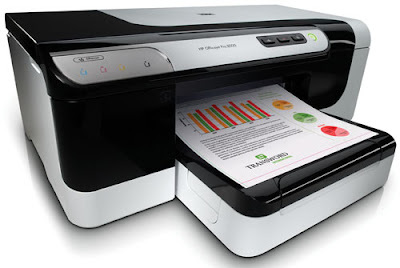 It also offers superb paper handling: it’s the first laser printer that can handle envelopes without jamming. Of course, it’s only a LaserJet clone, but it’s a clone from a highly reliable source.” Even that clone comment was a virtue, as explained in the longer review, as it assured compatibility with existing software solutions for prospective buyers. The 4019 effort shows the success that can be achieved by deeply understanding the competition (Sloan’s article relates the story of Curlander packing the Lexington offices with multiple HP LaserJets, just for this purpose) and then going after that firm’s product deficiencies, but taking this approach against an existing market-leading product via a multi-year development effort is tricky. The development effort runs the risk of becoming an exercise in chasing old products with new product visions, and the incumbents are certainly aware of issues and working to improve their old products with efforts of their own. While some may argue that the 4019 was at most the third biggest laser printer introduction of the 1980s, trailing the original HP LaserJet and Apple LaserWriter in significance in shaping the categories of general office printing and higher-end desktop publishing, in other ways it was the most important. Though never vaulting its parent company (old or new) to an outright lead in the business, the 4019 led to the establishment of a whole new printer company: Lexmark International. The idea of being part of a spun-off, standalone printer company without the “drag” of the larger parent (and also lacking the support during leaner times) was a very common vision among industry participants in those heady days. Former IBMers who became part of the new firm experienced the independence and the ultimately mixed blessing of which Apple and HP printer folks could only dream. I've been avoiding these hands-on posts for awhile, and when I do one, I generally try to stay clear of HP products and solutions (emphasis on try). Regular readers know I'm an HP (NYSE HPQ) alum (1981-2005), and as an analyst/writer covering the printer industry for The Hard Copy Observer, I can't get around covering the leader, Hewlett Packard. 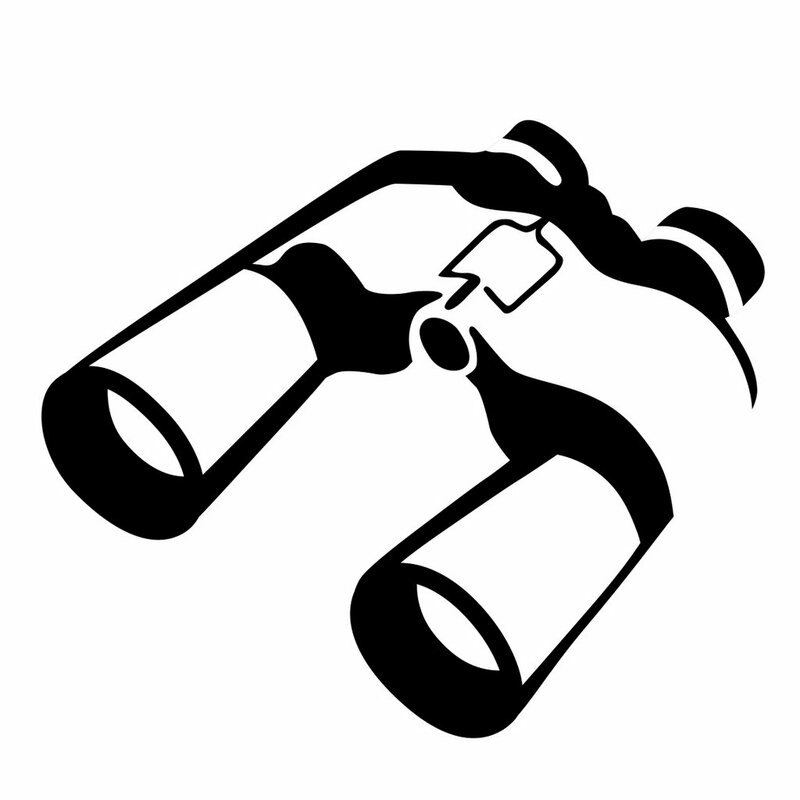 But even then, I tend to stick to covering things from the big-picture, business-strategy standpoint. But...I have to report some rather joyful printer experiences I have had just recently. I purchased an Officejet Pro 8000 at a ridiculously (at least to me) low price from Newegg.com, plugged it right into my home LAN (Ethernet), and have been happily printing away -- reports, articles, papers -- ever since. And the ink monitor (via the printer's web page) shows miserly amounts of those precious liquids having been spilled, after several hundred pages of documents and photos. Everything has worked flawlessly, I am so pleased to report! And while the printer itself doesn't feature WiFi, like so many HP's do these days (see "HP is wild about wireless"), my Apple iPhone picked up its presence immediately, using HP's iPrint Photo (v 1.0.3) (see "iPhone Printing boom"). I'm now even using my iPhone as a photo print server/director, of sorts, moving photos from other sources to the phone, and then to the photo printer. And by the way, in the recently more sensitive full-disclosure department (see "FTC Publishes Final Guides Governing Endorsements, Testimonials -- Changes Affect Testimonial Advertisements, Bloggers, Celebrity Endorsements"), all the products mentioned here were either paid for, by me, or offered free. Scott Sloan at the Lexington Herald-Leader and Kentucky.com has an interesting piece saluting the IBM printer efforts centered in Lexington 20 years ago, that became stand-alone printer-maker Lexmark (NYSE LXK) a few years later. In "Laser printer project in '80s led to Lexmark", Sloan interviews current Lexmark and former IBMers Gregory Ream, Paul Curlander and Harry Cooper, on some of the before-and-after stories related to the introduction, on October 10, 1989, of the IBM 4019 Laser Printer. Fascinating is the focus on the industry leader HP (NYSE HPQ) and its LaserJet printer, and the improvements IBM targeted, including a product size (weight) that would be half of the HP's, and, interestingly, "correct order output", which the LaserJet didn't offer. HP, which celebrated the 25th anniversary of the LaserJet printer earlier this year (see "HP celebrates 25th anniversary of its LaserJet printer"), remains the market leader in laser printing, with Lexmark, which split from IBM as a corporate spin-off in the early 1990's and assumed its own identity a few years afer that, continues as a major player in the category, too. A month ago I posted about the opening of HP's Printer App store (see "Printer Apps Store Launches"), and also added a first-look at the selection of apps available (see "Day One -- HP Ushers in New Era of Consumer Printing with Full Suite of Print Solutions"). Microsoft made news this week with the opening of their app store (see "Windows mobile app store, My Phone service officially opening"), albeit unlike HP and the same as the king-of-the-hill Apple iPhone app store, their effort is dedicated to phones and mobile devices. With Apple's number of apps recently reaching close to six figures, with over two billion downloads (see "85,500 iPhone apps, 2 billion downloads") it's easy to see Microsoft's nascent effort, with over 100 apps, as a reverse of the Windows/Mac days in terms of the overwhelming ratio of applications. 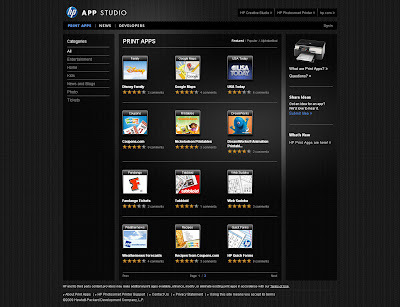 But, even in a totally different category, how is the HP Print Apps store measuring up? As compared to a month ago, the HP Print Apps section of the HP Creative Studio is now featuring 15 print apps, up from 14 last month (see Screen Shots above). The most popular seems to be the app from Coupons.com, with a total of nine user comments to date, average a 4+ star rating. While web printers versus mobile phones may be an apples-to-oranges comparison (pun acknowledged but not intended), it would seem HP has a long way to go to be in the company of Microsoft apps store (acknowledged as about the sixth entry in the race), let alone the leader. I found last week's post on printer rebates so intriguing, I had to follow up a week later, this time with the most recent "dirty dozen" of great printer deals from techbargains.com, and lo and behold, this week only one rebate. The old "MIR" (i.e. mail-in rebate) seems to be a diminishing if not dying breed, at least when it comes to printers. While in 2006 I was speculating on the potential demise of the Mail-in Rebate (MIR) at least for the printer industry, a quick survey indicates they are indeed seriously on the wane. A look at techbargains.com and their ten most recent printer "deals" shows a MIR required for only two of them, veritable "Outliers" these day!